CEH saddened by weekend death of young woman and angered by recent racist comments by Peter Dutton. The Centre for Culture, Ethnicity & Health (CEH) offers condolences and support to the family and community of Laa Chol, during this period of grief. We would also ask politicians to think carefully before using this tragic event for short-term media exposure. 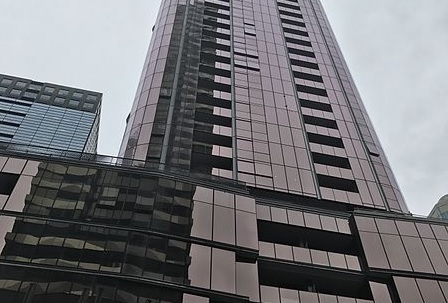 Laa Chol was, sadly, found dead on the 56th floor of the EQ Tower early Saturday morning after a fight between people who attended a party there. She was part of Melbourne’s South Sudanese community and according to The Age and Victoria Police’s Commander Stuart Bateson the community is now suffering from “widespread grief and a widespread desire to bring perpetrators to justice” in reaction to this death. Laa Chol has been described by friends and family as a second-year legal studies student and talented soccer player who was also a clever and happy person. Her death has prompted an unfortunate series of statements from Federal Home Affairs Minister Peter Dutton, linking the incident to a larger campaign to vilify the South-Sudanese community in Victoria. “Dozens of women have been killed violently this year in Australia, this is a real problem that needs to be addressed by politicians and the community. I am disturbed that the cultural background of this victim seems to be the sole focus of Mr Dutton,” she said. “He is using the tragic death of a young woman to generate more racist sentiment focused on the South Sudanese community purely for political gain,”. “We would encourage all politicians to listen to the Victorian Police who have pleaded that political figures do not use this incident to generalise about an entire community of people,” Alison said. CEH works closely with a range of people from new migrant and refugee backgrounds to create better access to the health system, including people from a South Sudanese cultural background. “We are already hearing of further incidents of people being abused in the street because of their appearance, and these incidents are the consequences of the actions of irresponsible people. Politicians like Peter Dutton, who are ministers, are supposed to represent Australia as a whole, not just the views of a narrow, bigoted minority.” Alison said.